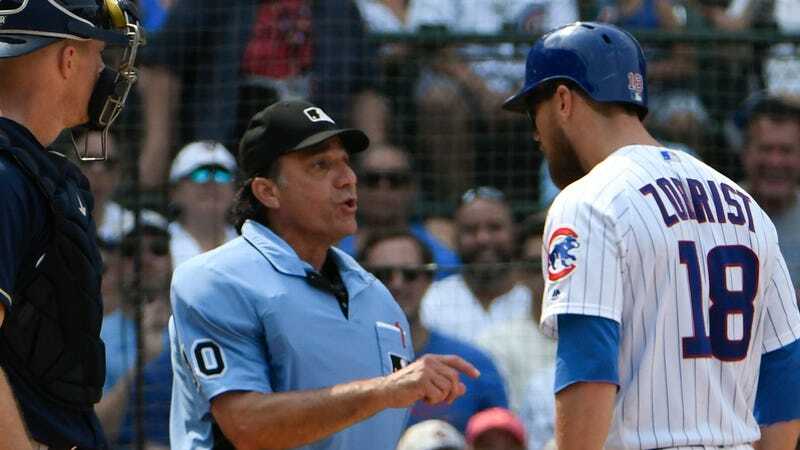 Cubs' Ben Zobrist Ejected By Umpire Phil Cuzzi For Saying "That's Why We Want An Electronic Strike Zone"
Ben Zobrist was ejected in the ninth inning of the Cubs’ 7–0 home loss to the Brewers Tuesday, for arguing (what else) balls and strikes with home plate umpire Phil Cuzzi. 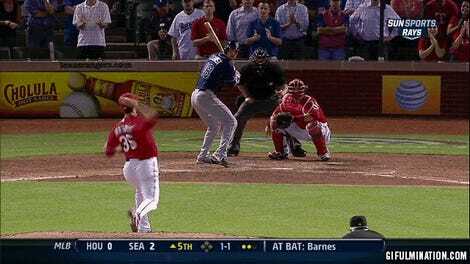 The beef went back a few innings, to when Zobrist took a called third strike in the sixth, and reacted angrily. Zobrist survived the initial encounter when Joe Maddon stepped in and got himself tossed, but Zobrist came back for more in the ninth and earned his first career ejection. This should not be read to mean that baseball’s current system is all hunky dory. Balls and strikes are at the fundamental core of the sport, and are therefore worth getting right! And human error blows. MLB seems to be gradually opening up to the idea of using PITCHf/x to at least aid in establishing a consistent strike zone, with Rob Manfred telling Ken Rosenthal back in May that the league is “much closer than we were a year ago to having the technological capability to actually call the strike zone.” It seems inevitable that baseball is moving towards reducing human error in favor of technological precision, but it’s still very rude to tell a human umpire you’re rooting for his job to be taken by a damn robot.